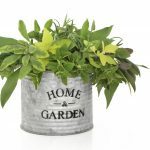 Garden plants are beautiful to behold, but some of them – even very familiar, commonly grown plants – are highly toxic. Read on to learn the basic facts on a few highly poisonous garden plants. Rhododendron – The nectar of certain types of rhododendron, including a popular variety known as Rhododendron ponticum, is so toxic that even honey produced in nearby hives can be extremely dangerous. (The leaves of the plant are reportedly less toxic). The nectar of other members of the Rhododendron family, including azalea, may also be toxic. Foxglove (Digitalis purpurea) – Although foxglove is a lovely plant, it’s also one of the most poisonous plants in the home garden. Even a little nibble or sucking on a twig or stem can bring on nausea, vomiting and diarrhea. Consumption of larger amounts may produce irregular or slowed heartbeat, and may be fatal. Rhubarb – Common garden plants that are toxic include rhubarb, a familiar plant grown in American gardens for generations. The tart, flavorful stalks are safe to eat and delicious in pies and sauces, but the leaves are extremely toxic and consuming them may be fatal. Symptoms include respiratory difficulties, burning of the mouth and throat, internal bleeding, confusion and coma. Larkspur (Delphinium) – When it comes to garden plants to look out for, delphinium larkspur (as well as the annual larkspur – Consolida) is high on the list. 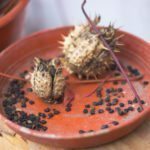 Ingesting any part of the plant, especially seeds and young leaves, can bring on nausea, vomiting and slowed heartbeat very quickly. Symptoms are sometimes fatal. Angel’s trumpet (Datura stramonium) – Datura angel’s trumpet, also known as jimsonweed, locoweed or devil’s trumpet, is one of the most toxic garden plants. Although some people use the plant for its hallucinogenic properties, overdose is very common. Symptoms, which can be fatal, may include abnormal thirst, distorted vision, delirium and coma. Mountain laurel (Kalmia latifolia) – Poisonous garden plants include mountain laurel. Ingesting the blooms, twigs, leaves, and even the pollen, can produce watering of the nose, mouth and eyes, severe gastrointestinal difficulties, slowed heartbeat and respiratory difficulties. In some cases, ingesting mountain laurel can lead to fatal outcomes, including paralysis, convulsions and coma. English yew – This lovely tree is said to be one of the most deadly trees in the world. Reportedly, all parts of the yew tree, except the berries, are so toxic that ingesting even tiny amounts can stop the heart. Oleander (Nerium oleander) – Oleander is a one of the common garden plants that are toxic and sometimes deadly. Ingesting any part of oleander can result in stomach cramps.